The majority of Russians believe President Vladimir Putin and other top politicians “always” or “largely” hide the truth on numerous issues, according to a new poll in the country. 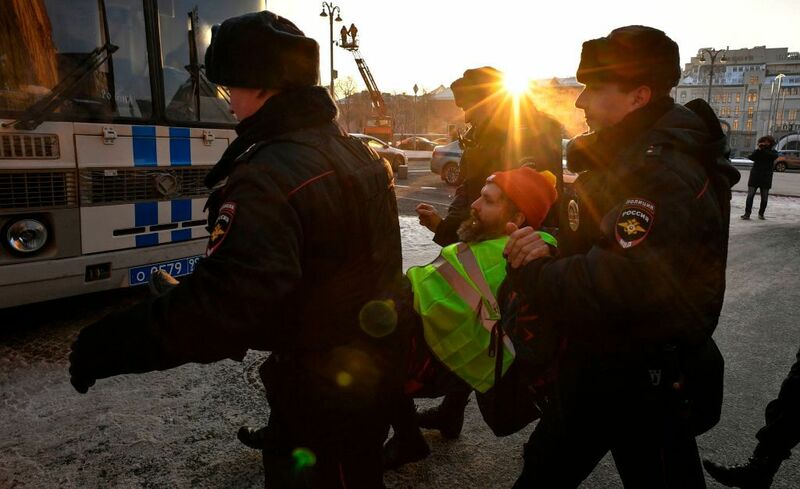 Putin and his government have faced increasing opposition since last year, as protestors took to the street across the country against an unpopular move to raise the national retirement age in the country. Demonstrators and government critics also pointed to Russia’s involvement in international conflicts, such as Syria and Ukraine. Economic problems in the country, spurred by sanctions due to tensions with the United States and Europe, have also taken their toll and led to social frustration. According to The Moscow Times, Russian’s trust in Putin, the legislature, political parties and other state institutions has hit a “record low.” A new poll by the independent non-governmental Levada Center shows that 52 percent of Russians now believe that their leaders hide the truth the majority of the time when discussing pensions, healthcare, the overall economic situation and the fight against crime. The poll marks a 15 percent jump in distrust of politicians over last year, and the first time in eight years that the majority of Russians polled signaled they don’t believe their leaders. “People see their standard of living falling, but the rulers say it’s growing,” political analyst Nikolai Petrov told local media, according to The Times. Only 12 percent of Russians surveyed said they believe top politicians in their country “always” or “largely” tell the truth. That a dip of nearly half from 2010, when 21 percent signaled that top politicians were generally trustworthy. 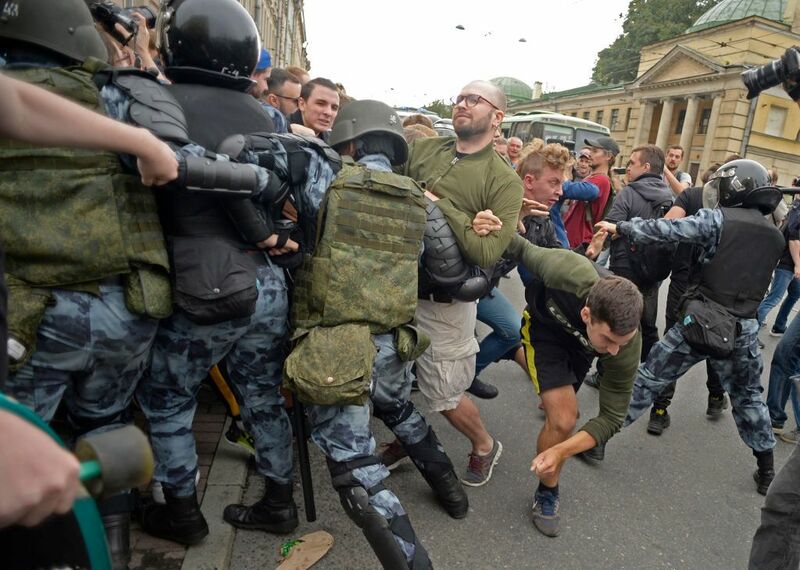 In November, the Russia-based Center for Economic and Political Reforms (CEPR) revealed that protests against Putin’s government surged dramatically in 2018. At the time of the CEPR report, the organization had documented more than 2,500 protests that had taken place across the country in 2018, compared to less than 1,500 in 2017. About half of those protests were against the government’s move to increase the national retirement age, while rising fuel prices and a tax increase also led to many demonstrations. Putin signed the unpopular pension reform bill in October, just hours after the controversial legislation was passed by the nation’s parliament, according to Radio Free Europe. The bill raised the retirement age for men and women by five years over a gradual period of time, meaning women will eventually retire at 60 instead of 55 and men will retire at 65 instead of 60. Many Russians criticized and protested the government measure, as the average life expectancy for men in the country is estimated to be just a few months beyond 65. That would mean the average Russian many would only enjoy his retirement and pensions benefits for a very short period of time.